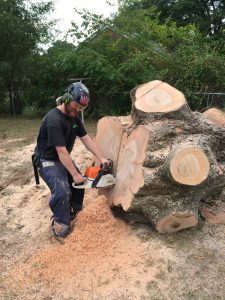 At Tree Tech Tree Services Inc., we provide superior personnel and equipment to accomplish all phases of tree care. Tree removal service is our treatment of last resort. Our staff is guided by ISA certified Arborists (http://www.isa-arbor.com) who specialize in the care, knowledge and science of trees. Our certified arborists can help determine if a tree is hazardous and needs to be removed or if there are other options available. 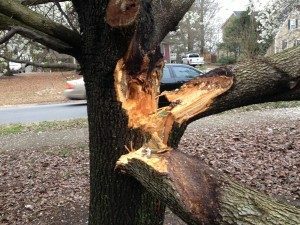 Aside from providing comprehensive, safe tree removal, we take care of storm damage, trimming and pruning and much more! Our ultimate goal is to preserve the health and life of trees when possible. However, the safety of your property is the utmost priority. Sometimes a tree can be treated or trimmed to avoid having it removed. We are highly skilled in all types of removal, from technical rigging, crane work and felling. 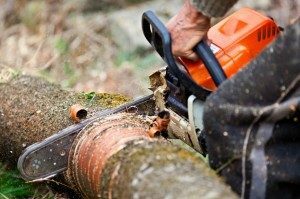 In the event a tree does need to be removed, Tree Tech’s experienced personnel will safely remove it, even in the most difficult conditions. 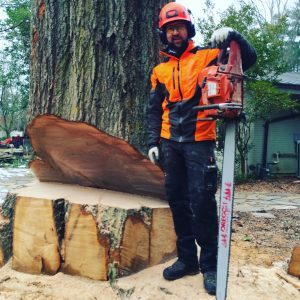 All of our tree work is done with precision and care to avoid damage to your property, by Tree Techs staff of trained professionals who are dedicated to safe, efficient tree removal. 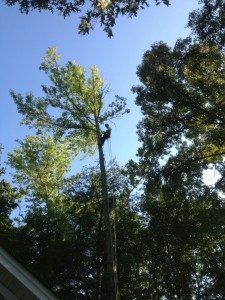 Tree Tech arborists specialize in technical rigging and large tree removals. We can navigate around things like houses and fences. There is always a solution to the removal needs that will keep your home and property safe. Storm damage can cause a lot of harm to trees and property. Our team can clean it up! We also offer preventative services like cabling and proper pruning. Our arborists will assess the tree and let you know if it can be saved. If not, we can take it down as safely as possible.